Are you looking for the perfect gift for a child between the ages of four to ten? I have a recommendation for you, one that has the potential to move every reader to tears with its message of hope and beautiful pictures. 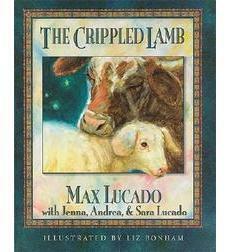 The Crippled Lamb by Max Lucado tells the story of an orphaned, crippled lamb named Joshua. His one and only friend is a cow named Abigail, and the two share one night together that they will never forget, a night Joshua would never have known had he not been disabled. 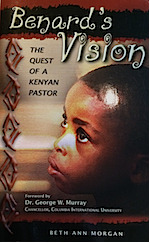 I found myself inspired not only by the book itself but also by the reactions of the children to whom I’ve read it. Their eyes first show great empathy, then move to sadness at the lamb’s lonely plight, and finally, to awestruck wonder as the lamb’s greatest weakness ushers him into the presence of a King. The other reason I personally like the story is that it shows how everyone has something to give, something of purpose and value, even when it may appear untrue. For years I struggled with a severe case of a heart condition called Neurocardiogenic Syncope. My case baffled cardiologists across the country, and I spent eight years traversing the ups-and-downs of trying to carry out my tasks of daily living without fainting. During the darkest periods, I was confined to bed, unable to even sit because my severely low blood pressure would drop further still. My brain was foggy at best, and I remember feeling my thoughts swirl around in my head like a load of laundry in a washing machine. It was boring. Time passed by, and I couldn’t remember what I had done much less thought about the previous day . . . week . . . month. Until I realized that I could pray. What I had seen previously as an immense trial in my life I now saw as an incredible opportunity. How many people in their twenties are blessed with 24 hours/day, seven days/week to pray for people? Most of them are working, raising a family, studying, praying as time allows, but constantly? That is nothing short of an extreme challenge. When I understood the magnitude of the gift I’d been given, I gratefully poured out my heart like water before the Lord every day, talking to Him about anything and everything, lifting up concerns for friends and strangers alike. God used those precious years to draw me close, comfort my heart, and teach me many things. As hard as it was, I look back over that period of my life with joy. As is The Crippled Lamb and its message of love and hope. May God continue to use this book to reach into the hearts of children and their families to make them tender toward those who feel lonely and left out, renewing their purpose and giving them hope.